Fresh out of prison after twelve years, Opal McBride must find a job in order to meet parole requirements. Failure means she’ll serve out the remainder of her sentence behind bars. The system has seen fit to drop her in Louisville, Kentucky, a far cry from her hometown of Jubilee in the Appalachian hollows. Scrambling to adapt, Opal finds more than a potential job in May Boone’s quilt shop; she finds acceptance and perhaps even friendship. That is, until May’s son recognizes her. A detective, Josh Boone is not about to let a felon work for his soft-hearted mother. Though Opal’s crime was against a sheriff’s deputy, his innate sense of decency prods him to break ranks and defend her from the disdain of his fellow officers. Then he finds she may have light to shed on a cold case—and discovers there is more to Opal’s story than it seems. 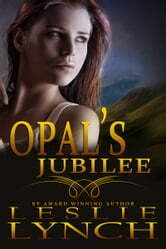 Josh risks his professional reputation (and his heart) as he digs into Opal’s past. When secrets are exposed, will justice prevail? Will Opal and Josh find redemption—and maybe even love—where they least expect it? Opal served 12 yrs & is trying to find employment. May offers her part time work but her son, Josh, a detective, recognises her & warns her off. I shed a few tears for Opal. Highly recommended. Loved the story & characters. No swearing. No blasphemy. Could not put this book down.